U-20 World Cup: Why Not Us? It’s been 15 years since those dog days of summer when the Korean national football team graced the pitch to roars in Busan. Guus Hiddink’s men had only one singular objective in mind – to do what the generation before them had not been able to do – win a game in the World Cup. 48,000 strong cheered in unison when Hwang Sunhong opened the scoring from a sumptuous cross in the 26th minute and with Korea’s back five confidently holding Poland at bay in the coastal humidity, the scene was set for Yoo Sangchul’s 53rd minute strike to put the game’s result out of doubt. Morning newspapers and TV reports were unanimous in their front page story: little Korea had won at the World Cup. The rest of that team’s inspiring journey is history, a story which we have often told with nostalgic regret. One by one by one, Portugal, Italy and Spain all succumbed to the gritty, tantalizingly dangerous Taeguk Warriors who came within inches of qualifying for a shock World Cup final. The team’s unexpected success filled the streets across the nation, from Haeundae Beach in Busan to Gwanghwamun in Seoul, all filled with red-clad fans supporting this selection’s spontaneous success. And 15 years on, so many Korean fans have been left wondering how long it would take for the Taeguk Warriors to roar again on home soil. If Chung Monggyu, President of the KFA, has his way, it will be in 13 years that Korea will welcome football’s greatest games. Alongside Japan, China and North Korea. A Unity bid? That’s for another day, but you couldn’t blame many for wondering if liberal President Moon purged his utopian unificationist spirits for the election and channeled them into the conservative business tycoon. Anyway, Chung’s far-fetched idea is for tomorrow. But a younger, fresher, more dynamic national team now has the chance to channel the spirit of those underdog heroes of 2002. The U-20 World Cup will begin on Saturday. Korea faces a tough group. England. Argentina. And the not-to-be-underestimated Guinea. It will be a brutal challenge. But one this young, dynamic, likeable Korean team can overcome. It all starts at the helm. Manager Shin Taeyong is the perfect boss for this attack-minded side. 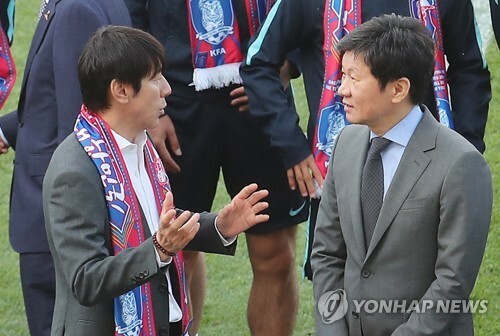 After years of K League playing success and coaching, Shin worked for two Korean national team bosses before taking on the difficult task of heading Korea’s Olympic team at the Rio Games. The plain-spoken boss took a team known for its defensive clout and transformed it into a competent offensive side. He was unafraid to experiment with several formations and tactics and think outside of the conventional KNT coaching box. His gutsy decisions to go for victories even in the face of world-class opposition (see: Germany) showed an immense faith and confidence in his players – a relationship that was reciprocal. A far cry from the shambolic national team itself. Shin took a team of boys and made them men. And though the bitter Quarter-Final defeat to Honduras left many to blame the charismatic boss, most would agree that there were far more positives than negatives that came out of that Olympic performance. In sum – Shin’s done this before. Old-style manager Ahn Iksoo’s stale brand of punt the ball up soccer showed its harrowing limitations at last year’s Asian Championships. Not only was the team not built to attack, it could not even competently defend against the likes of Bahrain. 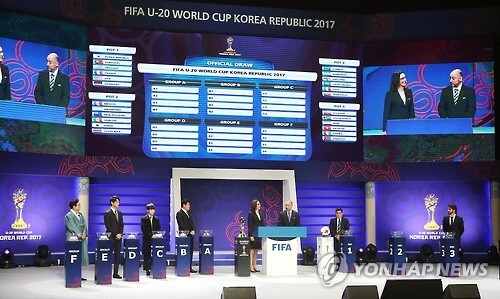 The embarrassing group stage exit for the side was perhaps the best thing that could have happened, as the KFA freed an unhappy Shin from his national team assistant position to take on the U-20 World Cup challenge. Shin’s done this before. He’s taken that stale side and turned it into one playing to its strengths. Would you want any other boss in charge of a team with the likes of brash Barca Academy’s Lee Seungwoo, La Masia playmaker Paik Seungho and several talented, pacey university/K League rookies? Doesn’t Shin’s philosophy of “if they score two goals, we have to score three” make infinite sense when it comes to this promisingly aggressive bunch? Shin Taeyong is the best man for the job. Why not us? I touched on Lee Seungwoo and Paik Seungho. Every generation of Korean footballers has one or two super-stars of their generation. The former batch had Park Jisung and Lee Youngpyo. This batch has Son Heungmin and Ki Sungyueng. 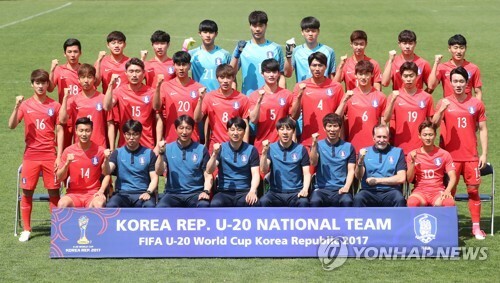 The next generation of senior team call-ups has Lee Seungwoo and Paik Seungho. Never before has a duo of Korean players been so highly hyped. Paik’s already in cheeky Adidas commercials while Lee’s quickly becoming a household name across the nation. And yet neither of them have had easy careers at La Masia, with the stutter-start of the FIFA ban to stubborn issues with physicality. The Messi and Iniesta comparisons that seemed so apt just a few years ago are slowly eroding, leaving many to wonder if the Korean Barca Boys are really just an overrated Instagram icons. And yet, Lee and Paik’s sheer dominance at recent “Four Nations Tournaments” may just be the calm before the storm. They have shown that they can be on a class of their own and elevate the entire team’s style of play. They have shown that they love playing in front of adoring supporters in Korean crowds who ooh and aah their every touch. They have a point to prove – that they deserve every second of that media attention and that they deserve to don Barcelona’s colors. The storyline seems perfect. If they rise to the occasion at their nation’s call, why not us? I’d implore you also, Tavern-goer, to not cower at the fixture list. Sure, in terms of football prestige and history, the young Taeguk Warriors are rank outsiders. But when has that ever stopped them from success? The English are on par with the Korean side if recent results are any indication. The Argentinians crashed and burned in 2015’s edition. Not to mention that youth tournaments are notorious for giving the most unpredictable of results. 2 of the 4 previous winners include Ghana and Serbia. Other top four teams in previous editions include Iraq, Costa Rica, Mali, Senegal, Austria, Hungary and the Czech Republic. It’s a 24 team tournament in which 16 teams qualify for the knockout stage. Those, we know, can be a lottery. 4 points and more are reasonably in grasp, but I’m ever the optimist and will never rule out topping the group. Remember what the Olympic side did less than a year ago? Why not us? We’ve literally just beaten the South American champions Uruguay. A draw with African heavyweights Senegal was seen as a disappointing result. Shin Taeyong is as urgent and relaxed as ever. Luis Flavio’s magic tough has Paik Seungho running on 100% fitness. 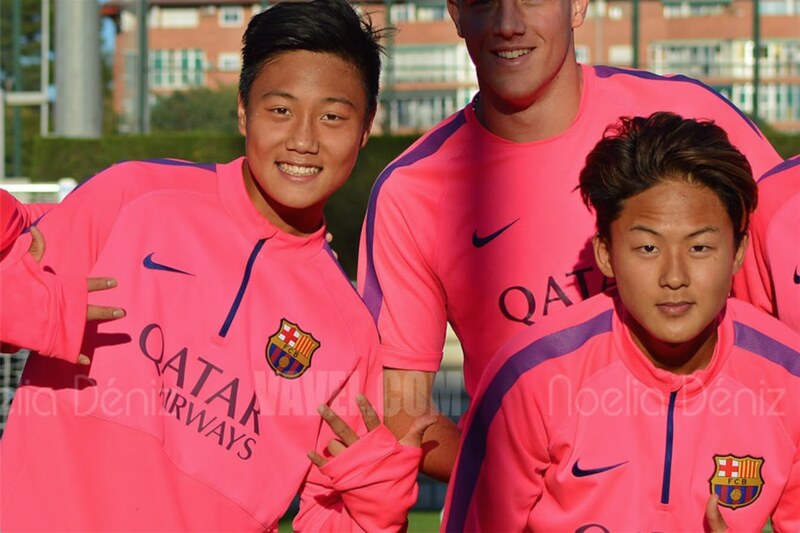 Forward Cho Youngwook is abounding in confidence after he caught the media’s eye with his dangerous pace and refusal to seem out of place in between two Barcelona prospects. Lee Seungwoo is humble and outspoken as he always is. Goalkeeper Song Bumkeon is f*cking beast. The tournament opener against Guinea will be a sell out. The nation’s mood is good. The team’s mindset is great. 2002 can be renewed again, if only just a little bit, if only just a little while. The time is right to trigger that fever. 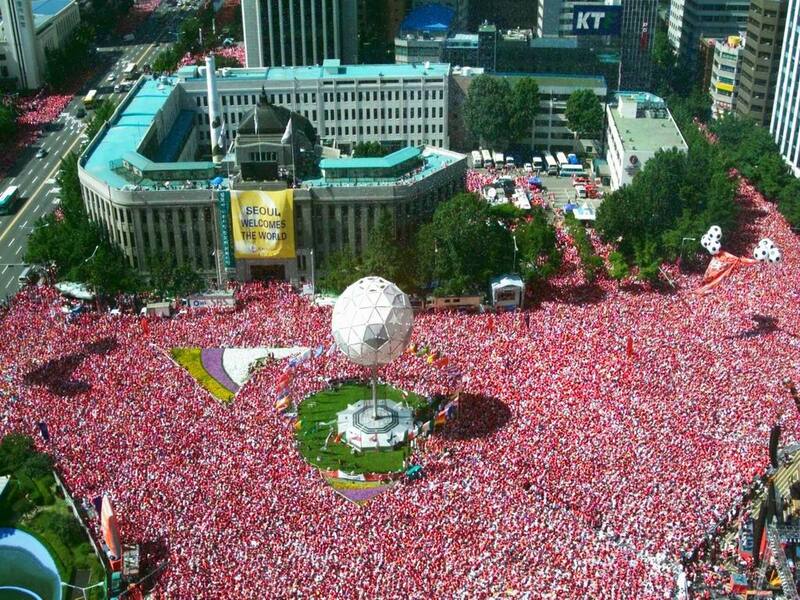 On Saturday, Korea will welcome the World Cup winners of tomorrow. The men whose names we will be writing stories about in the decades to come. The legends of the future. And yet, hopeful as always, though legends may come from countries far and near, I can’t get out of my mind that insane belief that the legends of the future might just pull on the red shirt on Saturday and wear the Taegukki on their sleeve and that they just might come from here. I mean, why not them? This article pumps you up for this weekend. Excellent read.